WestJet Canada Spring Seat Sale: Great Savings on Flights to Everywhere. 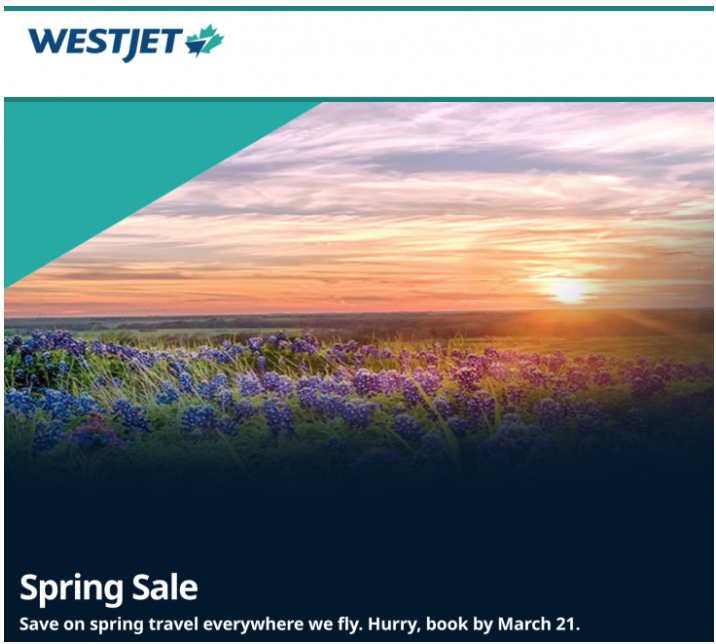 WestJet Canada has SpringSeat Sale available now for 3-Days, until March 21, 2019. Save on spring travel everywhere WestJet fly.